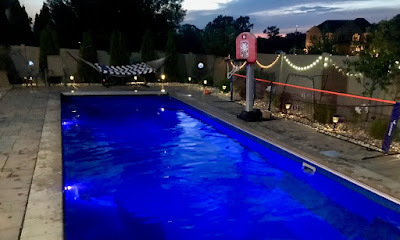 A few years back, we got a pool as a way to help manage the kids' sensory issues and to cope with the long summers of disrupted routines. Of course, the kids have loved it, and Ren and I have enjoyed having a place to contain them during hot summer days. But, it wasn't until about a month ago that I started swimming. When I was younger, you know, before kids, I swam a lot. I also hiked and biked and played tennis. But then I started a PhD program and found a job and got pregnant, and I couldn't figure out how to do everything. So, I stopped exercising and sleeping and eating well. Very easily, I convinced myself that parenting babies and toddlers and writing a dissertation and being on the tenure track and supporting kids on the spectrum and dealing with food allergies and getting Ren through spine surgeries were all perfectly good reasons to put myself last. Then I started swimming again. First, I swam late at night and early in the morning, still trying to accommodate everyone else's needs. 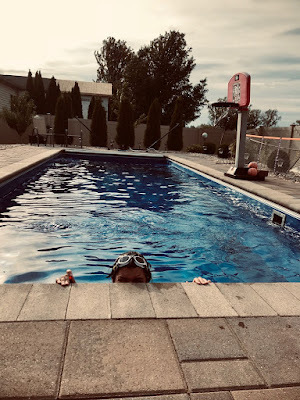 Eventually I started swimming during the day whenever I could squeeze it in--after work before carting kids around town, in between meetings, instead of going to church. And, soon, everyone seemed to understand that when Mom needs to swim, Mom needs to swim. I still can't take a shower or go to the bathroom or talk on the phone without someone barging in or causing a mini catastrophe, but, for whatever reason, I can swim. Maybe I started swimming as a way to get exercise. Now, though, I swim because I realize that only when I swim can I quiet the noise in my head. The depression, it's not going away. And, things aren't getting any easier with the spectrummy behavior at our house. So many problems, I just can't seem to solve. But, when I am in the pool, the twenty to thirty minutes it takes me to knock off 1000 meters are the most peaceful moments of my day. 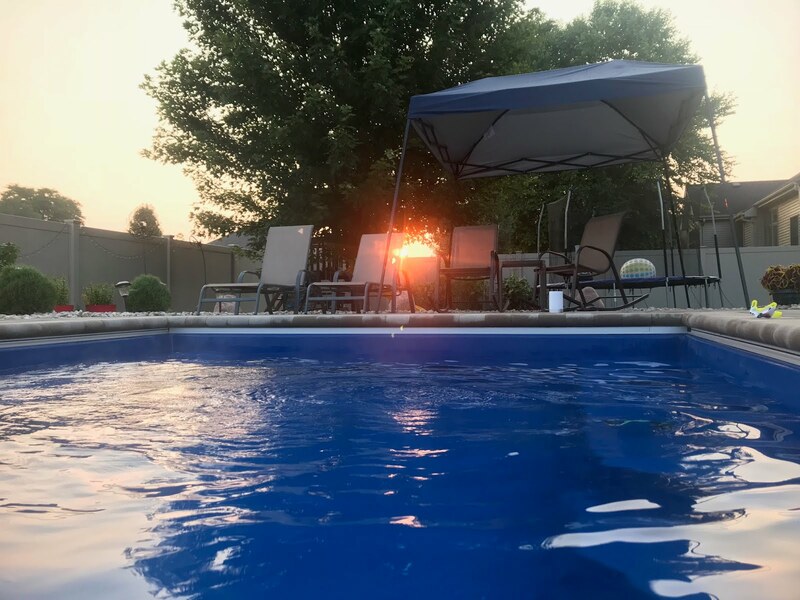 When I swim, I don't have to think about the lies my brain is telling me or how terribly exhausted the depression makes my body feel. I don't have to worry about whether I'll get tenure or whether my book will be published or whether the class plan I have for tomorrow will succeed or fail. I don't have to physically intervene with a meltdown or restrain a small body out of control. I can't hear when the kids are fighting or someone is crying. And, I can't tune into the news. When I swim, it's just me in this body gliding through the water, breathing rhythmically, methodically counting my laps. After a mile. Photo credit: Stow. Watching the news this week (and especially today), seeing and hearing women scream their truths into the void of a society run by wealthy white men who don't understand or care what it is like to grow up female or poor or disenfranchised in this country, I finally realized why I'm so driven. I also understood why I need to keep swimming. Like most (all?) of the women around me, I have spent my entire life fighting to be heard, to be taken seriously. And, from that experience, I have internalized the belief that I am only worth being heard if I am stronger, fighting harder, and working longer than everyone around (while also, of course, being a wife and mother who is willing to sacrifice everything for my family). This belief is a fundamental part of my existence. It is a completely impossible ask, but it's one I've striven to achieve my entire life. No wonder I'm so damn tired. Today, when I got home from work, Ren had the pool ready for me to swim. Likely he hasn't paid attention to the Ford hearings and, even if he did, the ramifications of this turn of events wouldn't necessarily register with him. Still, he knew I needed to swim and didn't even protest when I walked into the house, put my work stuff on the desk, and changed into my suit without saying a word. As I neared the end of my 100 laps, I wondered how many more laps I would need to swim to approximate the emotional, physical, and existential exhaustion that have plagued me these last several months, and it occurred to me, that to achieve that, perhaps I might need to swim forever. So, I kept swimming. At lap 138, Stow came out to ask me to do something for him. "Wait for 22 more laps," I said. "I'm almost done." So, he sat and paced and crawled, and when I reached the mile mark, I climbed out of the pool and we came inside for a shower and a craft before dinner. I can't possibly out-swim the patriarchy, and I'm not sure how to make any of this better. Most days I can’t even make measurable change in my own tiny corner of the world. All I can do is keep swimming.